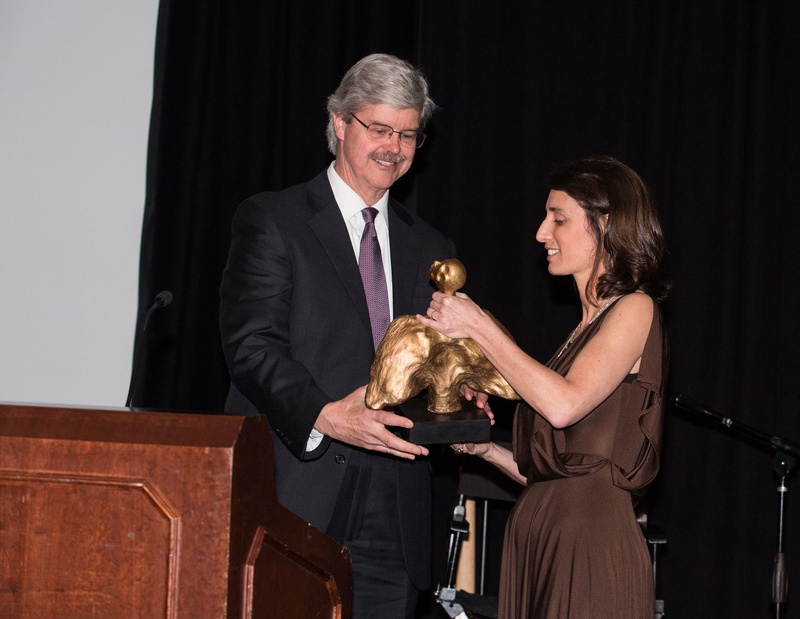 Bpeace Chief Program Officer Marla Gitterman presents Division Chief Michael Stanton with the Bpeace Gamechanger award at our 10th anniversary Gala. When Bpeace was ready to enter Afghanistan in 2004, we needed money. Our friends and partners at that time – Women for Afghan Women – pointed us to a grant opportunity at the U.S. State Department. Since then, for the past nine years, the U.S. STATE DEPARTMENT Bureau of Educational and Cultural Affairs has been our partner, donor and friend. Their financial support has enabled us to bring dozens of Afghans to the U.S. to learn best business practices and develop relationships with industry experts. The Department of State understands and values, as does Bpeace, the importance of professional exchanges, and what can happen when you bring people together to share knowledge and experiences. 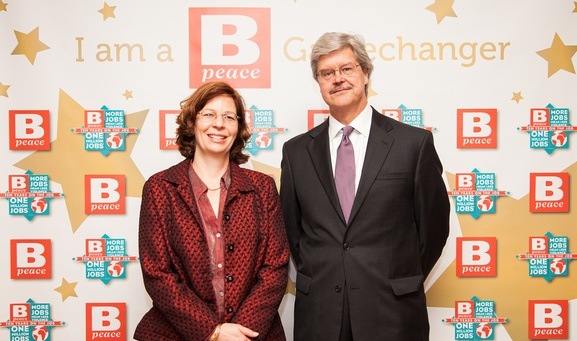 Professional Fellows Division Chief Michael Stanton and Program Officer Karin Brandenburg attended Bpeace's 10th anniversary Gala. An example: a few years ago, the State Department asked us if we could replicate with Afghan men what we do with women, and Bpeace started working with men. Zabi runs a construction company in Mazar. When Zabi entered the Bpeace program in 2010, he had 10 employees and had not had a construction contract in a year. He came to the U.S. and spent two weeks with Michele and Jake Lindsay at CCI Construction as well as with architect Lisa Dubin. Today Zabi employs close to 300 Afghans and wins multiple contracts a year. 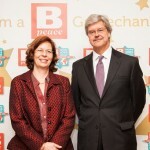 The State Department has been a great partner for Bpeace and for Afghanistan overall. They are responsible for much of the business development progress in the country, especially for women. 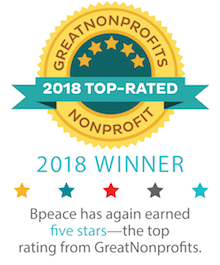 On behalf of Bpeace, I thank them for their support and their efforts in conflict-affected countries around the world to help women-owned businesses thrive and economies grow.